​I am in the United States Army and have been serving our great nation for the past 18 years. I am stationed at Schofield Barracks, Hawaii and serve as a Medical Planner and Administration Officer for the 8th Military Police Brigade. I was born and raised in Puerto Rico until the age of 12 when my family moved to Worcester, MA. 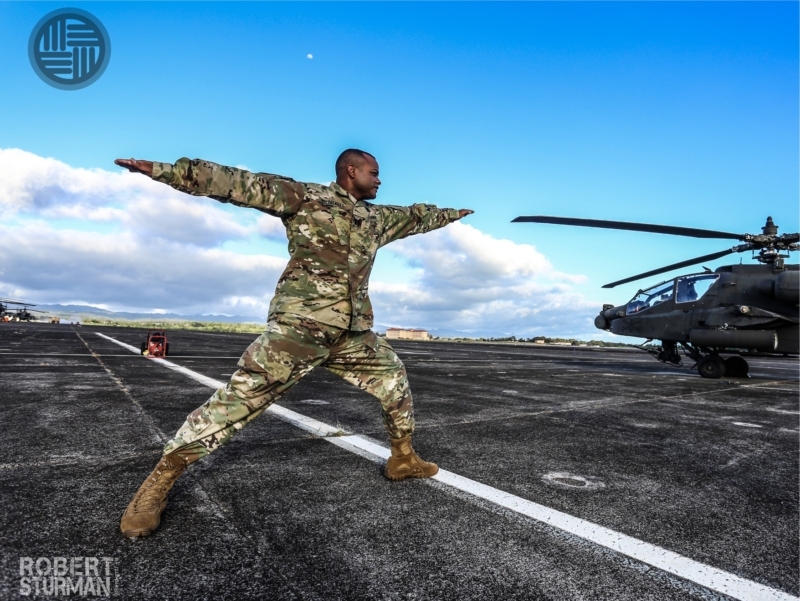 At age 18, I enlisted in the Army and graduated from Basic Training at Fort Sill, OK. After seven years of service, I was accepted into the “Green to Gold” Program at the University of Hawaii (UH). I graduated with a Bachelor’s Degree in Psychology and History from Hawaii Pacific University and earned my commission on the same day as well from UH. I have supported several humanitarian missions and training exercises and deployed twice. From 2009-2010 I served in Iraq in support of Operation Iraqi Freedom (OIF). From 2012-2013 I served in Afghanistan in support of Operation Enduring Freedom (OEF). I am married and the proud father of 3 girls and 3 boys (ranging from ages to 10 to 26 years). I met my wife, Joan, while stationed at Joint Base Lewis McChord (JBLM) in Washington. Joan also served in the Army but was medically retired due to injuries sustained in Iraq. Before joining the service, I had no understanding of the type of commitment, dedication and sacrifice it takes to be a soldier in the most professional and proficient military the world has ever known. My grandfather served during the Korean War but didn’t share any of his experiences during that period of his life. He chose to bury those memories, and I respected his wishes. War is a terrible ordeal and the scars sustained, whether visible or invisible, last a lifetime. But, despite the tremendous sacrifice and suffering, there are brave men and women who have to answered the call of duty in order to protect the freedoms and liberties we enjoy as Americans. I joined the Army before the events of 9-11 unfolded and caused a ripple effect in the lives of all Americans. My second deployment to Afghanistan was a transformational experience that changed me at my core. I had a very difficult time upon my redeployment to JBLM; the images in my mind were a constant presence. I was struggling with anger issues and unable to maintain my emotional balance at times. The mind and body connection is real. My lack of mental focus resulted in decreased physical performance. I pushed my body so hard due to my early indoctrination from drill sergeants who introduced me to mentality of “stop whining and drive on” and “pain is “weakness leaving the body.” After the humanitarian missions, training events and two deployments, I had several chronic conditions which I ignored and didn’t properly tend to. My knees and back finally started deteriorating to the point that I couldn’t run or bear any weight for almost two and a half years. When I moved to Hawaii after a tour in Korea, my wife invited me to attend some yoga sessions. I initially declined. I eventually decided to attend, and after a couple of sessions, I started noticing that I was more flexible, relaxed and focused. On June of this year I was able to successfully complete my physical fitness examination, to include the run, with no issues. In fact, I achieved the highest score ever in my 18 years of military service. Yoga has been a tremendous source of strength to me. It has enabled me to obtain inner peace, and control the memories which caused me anxiety for many years. 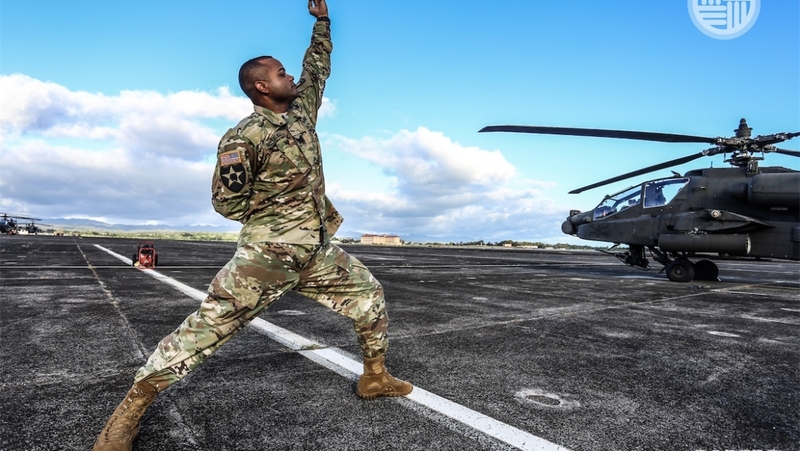 Yoga is a tool for injury prevention, rehabilitation, and health promotion, and it needs to be championed because our Soldiers deserve every chance to continue to serve and stay in the fight. I was once a skeptic, but now I’m proof of its effectiveness and restorative properties. 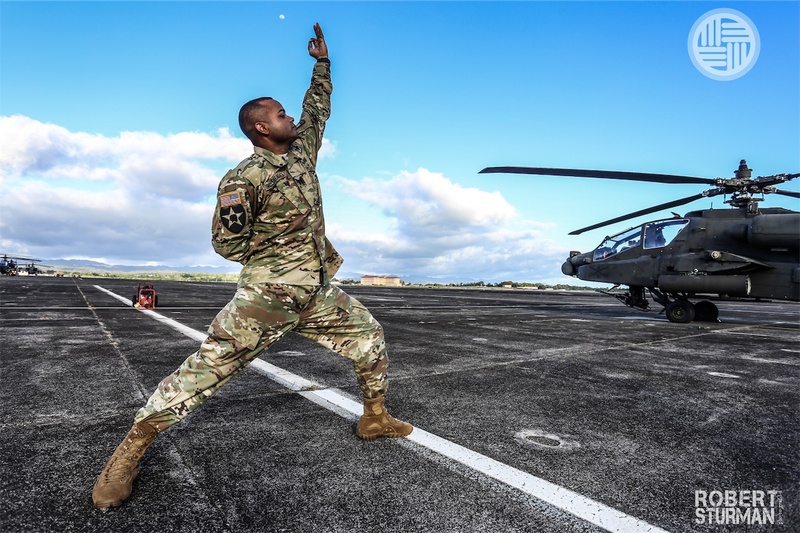 In the near future, I hope that yoga is implemented on a broader scale across our military formations.